Ireland is a country where it’s still possible to find high quality handmade goods. It has a worldwide reputation for knitwear and woollen items, so if you’re in the market for nice winter jumpers, scarves, capes, etc. this is the place to shop. Traditional Irish Aran sweaters have a unique style all of their own. Good places to look for traditional Irish knitwear are Kilkenny Design, Blarney Woollen Mills, Dublin Woollen Mills and Avoca Handweavers. Blarney Castle is a popular tourist attraction and is on most tour routes, so it’s easy enough to get to the Blarney Woollen Mills. Apart from the traditional designs, you’ll also be able to find elegant capes in a mix of cashmere and wool. If you prefer something more contemporary, some of the Irish designers have made it to the international scene, like Lainey Keogh’s designer knitwear or Lucy Downes’ Sphere One cashmere collection. Ireland is famous for its exquisite crystal and glassware with brands like Galway, Tipperary, Tyrone and Waterford Wedgewood leading the pack. If you’re looking for something typically Irish to add to your home decor, a piece of these crystalware or glassware is a possibility. Unfortunately, the 250 year-old Waterford Wedgwood Company, which makes the world famous Royal Doulton and Waterford Crystal, is under administration and hopefully a buyer can be found soon. Ireland also has a strong reputation for pottery and ceramics with styles ranging from contemporary to the traditional. Leading names to look out for include Stephen Pearce, Louis Mulcahy, Nicholas Mosse, and Michael Kennedy. If you’re in Kilkenny or Dublin, a good place to browse through a selection of Irish pottery is Kilkenny Design. 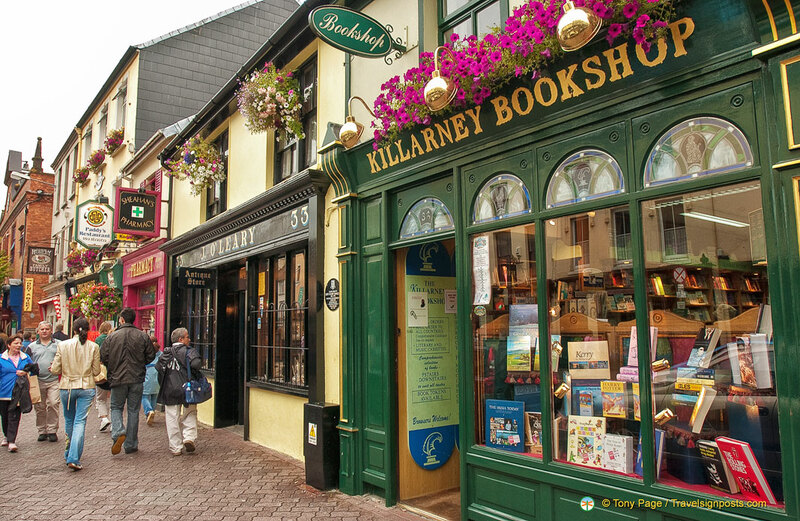 Reading is a national passion in Ireland so you’ll find good bookshops here. Eason and Son is one of the biggest bookshops in Dublin and if missing news from home you’ll be able to find international newspapers here. Other souvenir shopping opportunities include Parian china from Belleek, linen from the Irish Linen Centre, lace products from the various craft shops, and, of course a bottle of Jameson Whiskey, or Bushmills Whiskey from the oldest licensed distillery in the world. Unless you’re planning on drinking the whiskey during your stay in Ireland or intend packing these in your case (a bit risky), it’s better to buy them at the airport duty-free, after immigration. I love easons book store but equally love to browse around small book stores around the small towns of Ireland. The people are so helpful and friendly. Sad to see Waterford Wedgwood is under administration.